If you have been following your newsfeed over the past year, you might be forgiven for believing that Latin America is a wreck. Venezuela has descended into a socialist nightmare. Zika spreads across Central America and South America. Cartel violence ravages Mexico. To the casual observer, it must seem like things couldn’t get any worse. If you look past the headlines and into the data, the surprising truth emerges: In many respects, times have never been better for Latin America. Since the early 1990s, many of the civil wars and internal conflicts that plagued the region for decades have come to a close. Unprecedented peace has developed alongside a growing interest in economic liberalization: reforms in countries like Peru, Colombia and Panama have pulled millions of Latin Americans out of poverty. A new trade bloc stretching from Chile to Mexico—the Pacific Alliance—has united much of the region in the pursuit of free trade and free movement. Where functioning democracies were once a rare sight in the region, stable democracies and strong civil liberties are increasingly the norm in Latin America. The current Brazilian economic crisis, regulation imbalances for smaller operators, high tax burdens for telecom services, and spectrum and cost limitations for broadband services continue to dampen growth in the Brazilian telecommunications services market, which saw USD 40.35 billion in revenue in 2015. According to Frost & Sullivan, there was a 31.4 percent drop in revenue last year due to the depreciation of the local currency, but the forecast is of moderate growth over the next few years, with estimated revenues of USD 46.99 billion expected by 2021, mainly driven by the increasing penetration of pay TV and broadband. Services providers that are growing above market, such as regional player Algar Telecom and global players like Level 3 and Orange Business, are emphasizing customer service, innovative business strategies and network expansion, according to the market researcher. While mobile data, FTTH and IPTV revenue services have double-digit growth compared to 2014 (30%, 90.8%, 58.1%, respectively), mobile and fixed-voice services presented significant drops of 11.1 percent and 4.6 percent, respectively. Causes for these drops are related to decreasing mobile termination rates, cost reduction initiatives by consumer and enterprises due to the economic situation, as well as substitution for other types of communication, such as messaging and unified communication & collaboration solutions. 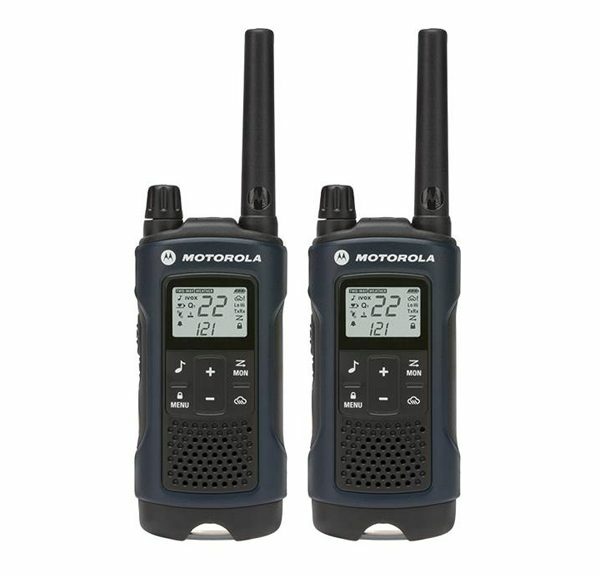 Motorola Solutions has announced the launch of two models in its Talkabout family of radios in Latin America. Designed to enable instant communications between group members without consuming mobile phone airtime or worrying about signal strength in remote areas, the radios are aimed at families and outdoor enthusiasts. The T400 model features a built-in LED flashlight, hands-free capability, a range of up to 56 kilometers and a weatherproof design. The smaller T200 has a range of up to 32 kilometers, dual micro-USB connectors, 2 channels and 121 privacy codes. Motorola said the radios will be available at small and large stores in Argentina, Brazil, Chile, Colombia, Mexico, Panama, Paraguay, Peru, and Uruguay. Vodafone has been authorised to provide mobile phone services throughout Chile for a 30-year period. Vodafone Group now has less than two years to find a local network to partner with. In Chile, Claro (America Movil), Movistar (Telefonica) and Entel currently dominate the market with 95 percent of subscribers. MVNOs account for just 1.8 percent of the local mobile telephony market in Chile, led by Virgin Mobile with around 439,000 customers at the end of the first quarter. Mobile data traffic during the opening ceremony of the Olympic Games in Rio de Janeiro almost doubled compared to the final of the 2014 World Cup in Brazil, from 0.7 TB to 1.4 TB (up and down). During the Brazilian World Cup final, the average was 18 photos sent/received per viewer, while during the opening of the Olympics, 36 photos were sent/received. According to ANATEL, (Brazil’s National Telecommunications Agency), there were no incidents of severe congestion or signal disruptions recorded on the mobile networks. Argentina’s telecommunications regulator Enacom has awarded Virgin Mobile a license to operate as the country’s first major MVNO, confirming an earlier report. Virgin has been granted permission to operate “fixed line and mobile phone services, with or without its own infrastructure,”. The UK-based company has been given 180 days to submit the required documentation. The only other MNVO currently active in Argentina is “Nuestro”, a small cooperative-run operator which uses the Telecom Argentina network and serves around 30,000 customers. According to a recent report, Virgin is currently in talks to use Telefonica’s Movistar network, which it already uses to operate in Mexico, Colombia, Chile and, most recently, Peru. When people ask how to prepare their child for Preschool in Pembroke Pines, there are 3 key things for new parents to remember; talk to them, read to them, and let them play. So you should always talk to your child. Have a conversation about anything that you can think of. Ask them questions. Wait for them to answer. Point out things that you see in your daily life, and ask them what they think. This builds their vocabulary. It teaches them to have a conversation, and to listen and wait their turn. Always read to your children. You should give children opportunities to explore books, to read books with you, to listen to you read, and to just sit and have time to flip through them and learn what a book looks like. Before children go to bed, is a nice time to read them a story, and then have them help you to read a book, by looking at the pictures, listening to your words and repeating it back. Giving children shared book experiences at home, sets them up for preschool, where the children are read to on a daily basis. They’re read to in larger groups, there’s typically a reading corner where they can read books on their own, and then they can sit with the teacher and have a one-on-one book experience. So with the Reading and the Talking, the last thing you should always let your children do, is play, and you want to give children lots of opportunities to play with other children, in any type of social setting before they go to preschool. You can take them to the park, you can take them to play areas, you can have playdates at home. This gives them a chance to play with materials with someone else. To interact with them, to have conversations with them, to watch another child play, and see if maybe that’s something they can do as well. These beginning social experiences, will set them up nicely for when they walk into a preschool, and are given the opportunity to talk to 10-15 of their peers, and choose who they want to play with and where they want to play. So the key is really to give them the life experiences. To give them lots of books, talk to them a lot, let them play, and when they walk into a preschool classroom for the firs time, they’ll be ready to go! Please visit our website: Forever Kids Academy for more information. O3b Networks has entered the Brazilian market, bringing satellite-based connectivity to mobile network operators, local ISPs and government. The service is available for residential, corporate and government customers in the city of Tefe (population 60,000) in partnership with regional distributor Ozonio. The O3b model is based on the “pay as you grow” concept, allowing the customer to purchase the amount of capacity required, then increasing it over time as needed, paying a monthly fee. In addition to Tefe, other remote Brazilian cities with significant population density, but with poor internet connectivity and mobile service no better than 2G, will also be targeted by O3b. Select Tigo customers will get prepaid Netflix subscriptions and app preloads on Android smartphone. Millicom, the telecommunications and media company dedicated to emerging markets in Latin America and Africa, today announced a strategic partnership with Netflix, the world’s leading Internet television network, that will bring Netflix app preloads to Android smartphones from TigoSmart and provide promotions to TigoStar and TigoSmart customers in Latin America. The partnership brings fresh innovation to the Latin America telecom industry in the way Tigo and TigoUNE customers will be able to easily find the Netflix app preloaded on their Android smartphones and discover a diverse selection of movies and TV shows on Netflix, including global hits such as Orange is the New Black, Dragons: Race to the Edge, Narcos and House of Cards. Qualifying Tigo customers will receive a prepaid Netflix subscription with the purchase of select TigoSmart mobile and TigoStar residential plans. These promotional offers are in addition to Tigo’s already successful TigoSports and TigoMusic entertainment packages. Millicom, through Tigo and TigoUNE, serves more than 2.5 million homes connected in Latin America and more than 32 million mobile customers across 7 countries: Bolivia, Colombia, Costa Rica, El Salvador, Guatemala, Honduras, and Paraguay. Millicom plans to extend its cable network to more than 10 million homes to become the second largest cable provider across its footprint. This collaboration will enable Tigo to further enhance its leading bundle of television, internet, and mobile services and continue to grow its appeal to its high value customers.